This is a 13 inch plush lamb created by artist Sheri Lewis..
Lamb Chop is the Legend made famous by Sheri Lewis. She made of soft white plush. 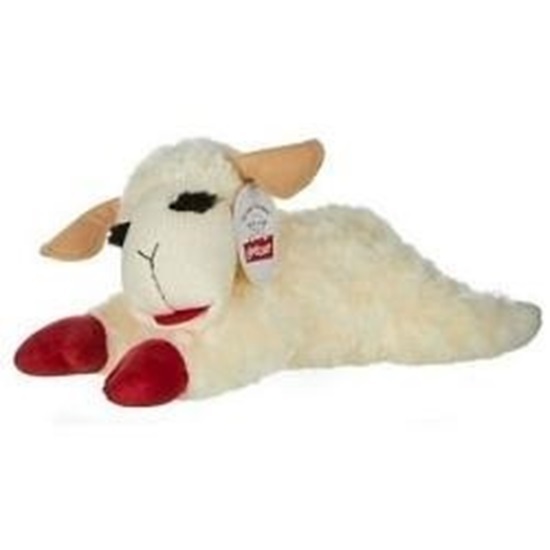 This lamb's body is 13 inches long and has red "mittens" on her front paws, a soft chenille face, tan felt ears, black furry eyelashes and a red felt tongue. For ages three and up. Lamb Chop comes tagged and is surface washable.